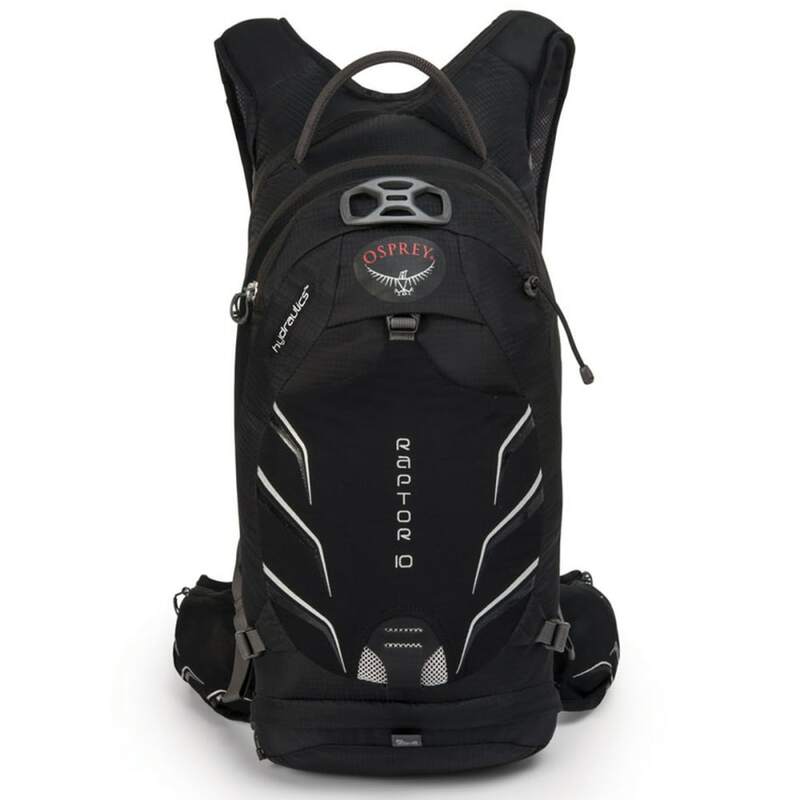 You'll love the way Osprey's Raptor 10 carries when you're riding rough, technical terrain thanks to the BioStretch harness and hipbelt that comfortably connect the pack to your body. 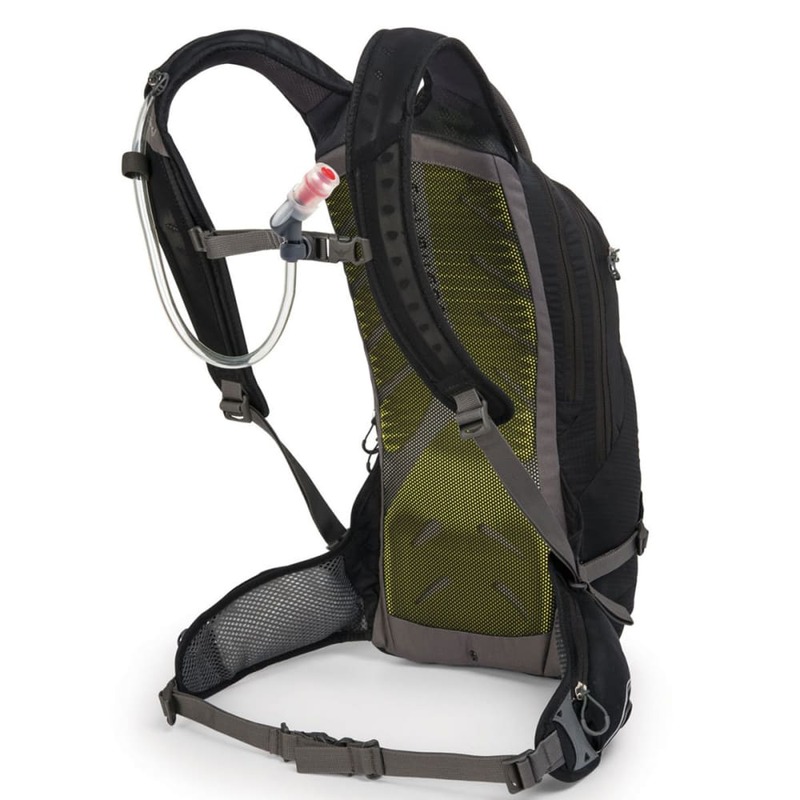 Specifically designed baffles in the 3.0 Liter LT reservoir reduce liquid movement for increased pack stability at high speed. 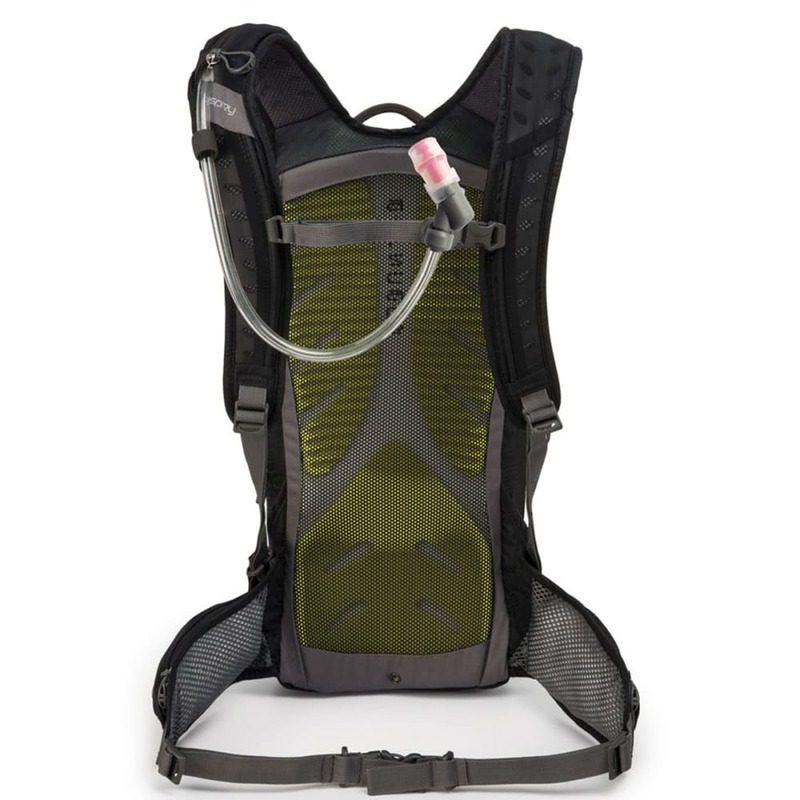 The hydration sleeve is zippered for convenient refills and the hose routes over the right shoulder strap to the sternum strap where it anchors with magnetic disk for on-the-fly access to the bite valve. 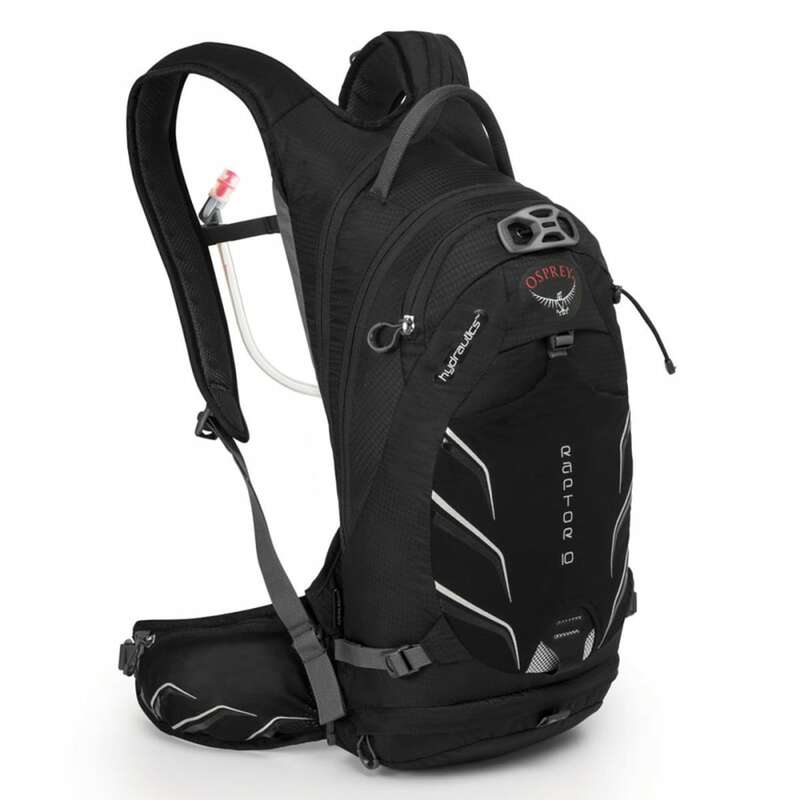 The main compartment is accessible via the front zipper panel. There's a stretch mesh front pocket for stashing a layer at the bottom of a big climb, zippered hipbelt pockets to keep a phone of other valuables secure, and a special scratch-free sunglass pocket to protect your shades. The LidLock helmet carry system gives you a place to secure your helmet when you're of the bike. If you have mechanical troubles on the trail, a roll out tool pouch provides organized access for rapid trailside repairs. And if you ride late, there's a blinker light attachment point and reflective patches for nighttime visibility.